At Majestic Window Cleaning believe that we are the best commercial window cleaners Massapequa, Seaford and Wantagh have to offer. December is always the busiest month of the year but if you are already one of our regular commercial window cleaning customers there is no need to worry as we will have you booked in for your scheduled cleans over the holiday period. However you do need to let us know well in advance if you have any extra needs as our December schedule can get very full. If you are not a regular customer but need a one off clean, please notify us well in ahead of time because even though things might be a bit hectic we will do our very best to fit you in. The weather in December can leave your windows extra dirty in a season when you want to welcome as many customers as possible so if you need extra cleans please give us plenty of warning. The great thing about Majestic Window Cleaning in Seaford, Massapequa and Wantagh is that we are a professional firm and are fully insured to clean all commercial property. We have the expertise, experience and equipment to do even big jobs and we understand the way business works and therefore what businesses need. We will itemize your bill showing exactly what you are paying for and all taxes charged so that the paperwork is fully compatible with your accounts. 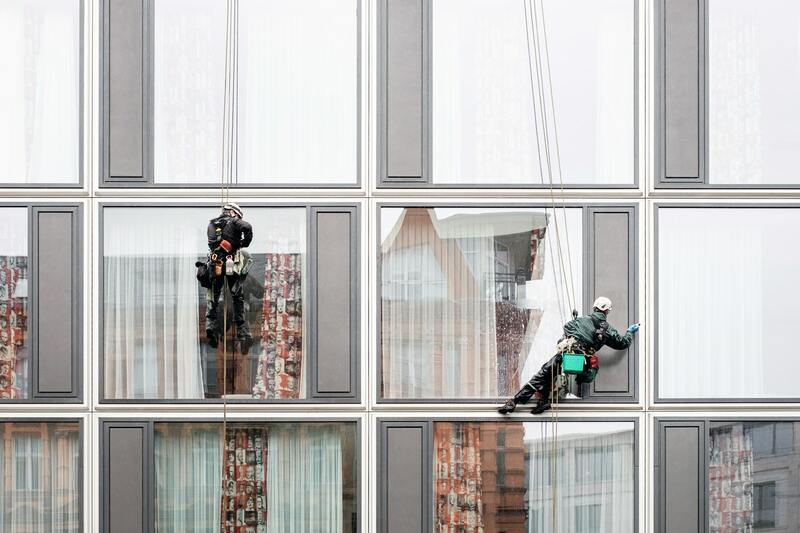 Majestic Commercial Window Cleaning is a safety conscious company and can supply safety statements, proof of insurance and any other paperwork you need before we start the job. Where appropriate we can arrange to work at times when the business is either very quiet or closed thereby minimizing any inconvenience or danger to the public or to your staff. Majestic Commercial Window Cleaning understands that businesses these days cannot afford to take risks so we offer a satisfaction guarantee. This means that in the unlikely event that something on the job is not cleaned to your satisfaction we will happily return and fix the problem at no extra cost to you. As you prepare for the busy season ahead you may wish to avail of our other services like power or soft washing as we can freshen up your driveways, footpaths, shop frontages, signage, cladding and even guttering. These are jobs that are best done soon, before the busy season gets fully underway. We can also clean windows in factories, hospitals, warehouses, offices and public buildings such as schools and colleges. Majestic Window Cleaners cover large areas of Suffolk and Nassau counties including: Salisbury, Bethpage Farmingdale, East Meadow, North Bellmore, Amityville, Hempstead, Lloyd Harbor, Cold Spring Harbor, Huntington Bay, Mutton Town, Old Brookville, Syosset, Woodbury and Dix Hills. Making your premises clean and welcoming is definitely good for business so don’t hesitate to call us on: 631-421-2295 or send us an email at: MikeMajestic66@gmail.com and see what we can do for you today.